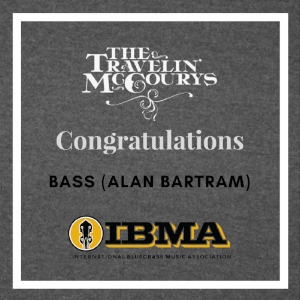 Congratulations to Alan Bartram for winning 2017 Bass Player of The Year at the International Bluegrass Music Association Awards on Thursday, September 28th. For a list of all winners click here. Listen to The Travelin' McCourys on Spotify, click here.